The risk factors in acquiring genital co-infections associated with HIV infection still present many questions. We conducted a systematic review and meta-analysis to compare the prevalence of genital infection among HIV-infected and uninfected women. We searched PubMed, Web of Science, Scopus and Scielo for the relevant studies up until October 2017. Data were collected from the included studies and methodologically assessed. Odds ratios (OR) and 95% confidence intervals (CI) were pooled using fixed or random-effects models. Thirty-six articles involving 23,863 women with retroviruses were included. HIV-infected women were significantly more diagnosed with the following genital infections: Herpes simplex virus type 2 (HSV-2) (OR 3.70; 95% CI: 2.42–5.65), Neisseria gonorrhoeae (GC) (OR 4.18; 95% CI: 2.15-8.13), Chlamydia trachomatis (CT) (OR 2.25; 95% CI: 1.20-4.23) and Human papillomavirus (HPV) (OR 3.99, 95% CI: 3.35-4.75). There was no significant difference in the prevalence of bacterial vaginosis (OR 1.09; 95% CI: 0.91-1.30), Candida sp. (OR 1.51; 95% CI: 0.71-3.25), Treponema pallidum (OR 1.56; 95% CI: 1.00-2.45) and Trichomonas vaginalis (OR 1.00; 95% CI: 0.47-2.15). 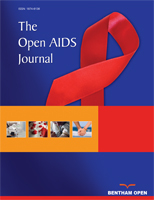 The prevalence of HPV, HSV-2, GC and CT genital infection was significantly higher among HIV-positive women. Keywords: HIV, Microbiota, Reproductive Tract Infections, Sexually Transmitted Diseases, Genital Infections, Uninfacted Women. © 2018 Costa et al.